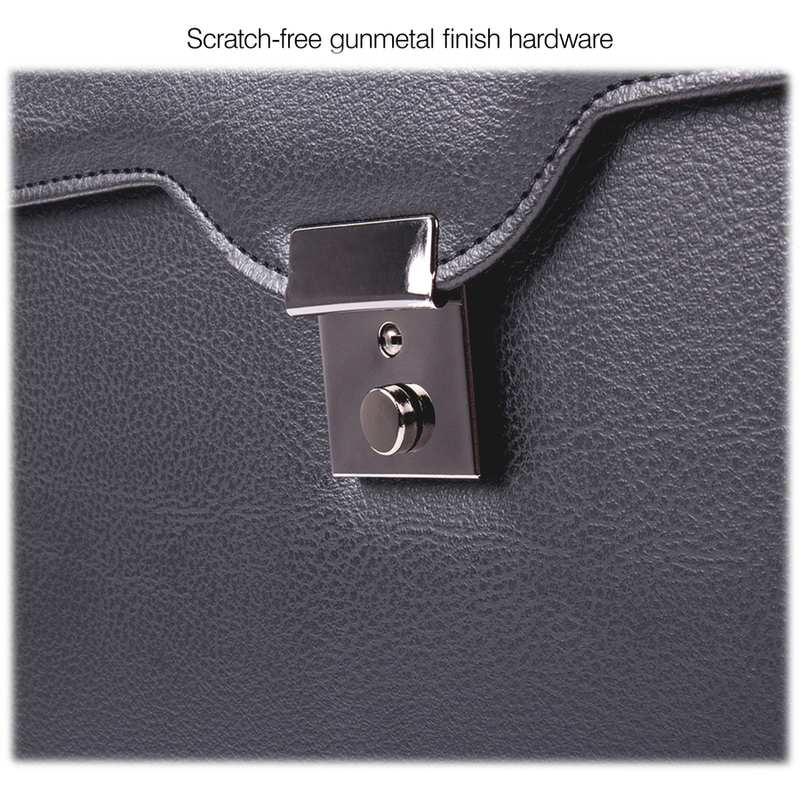 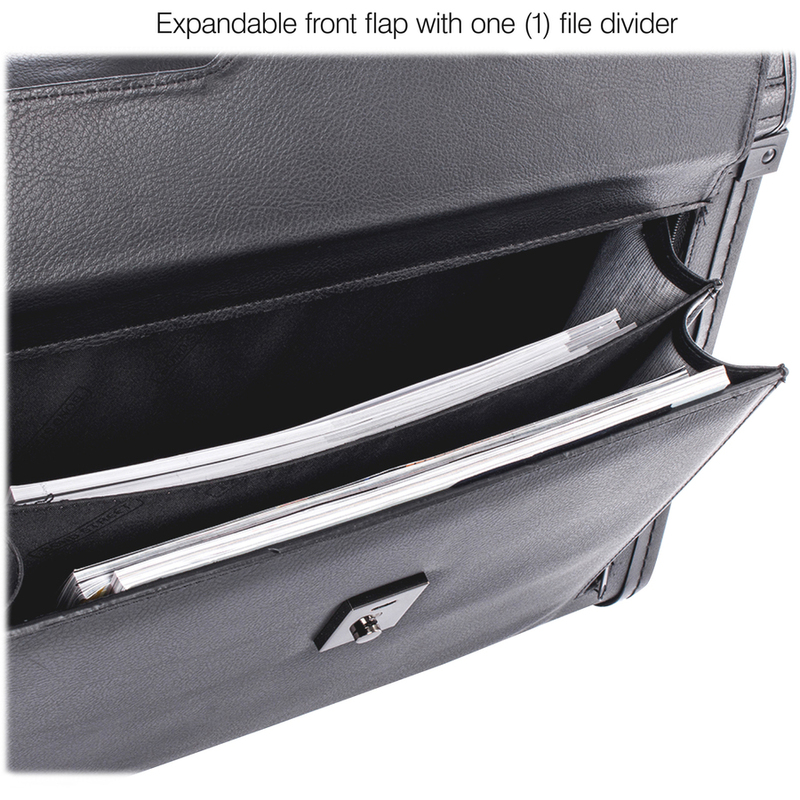 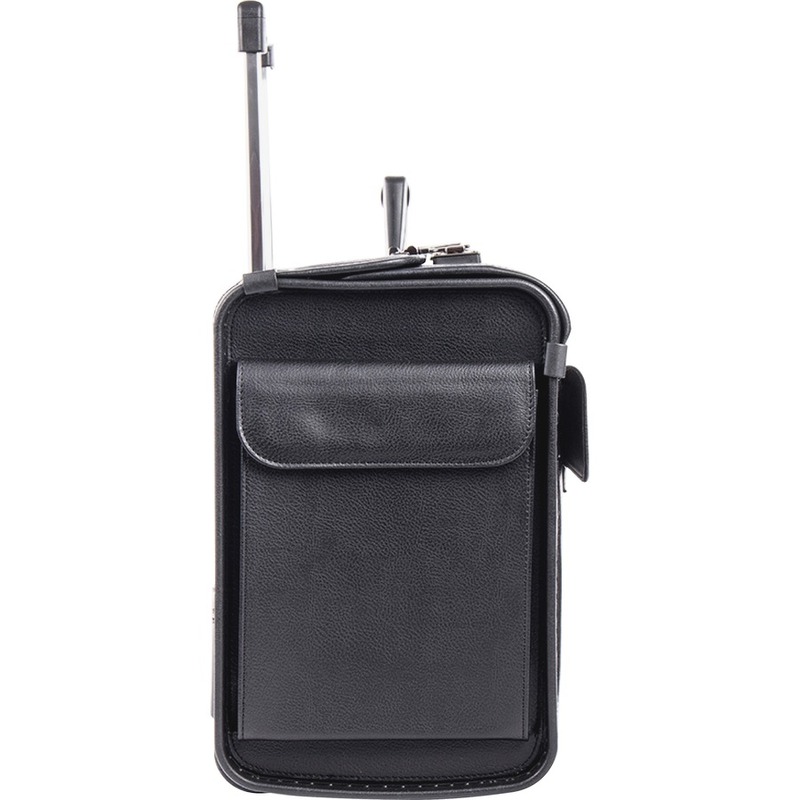 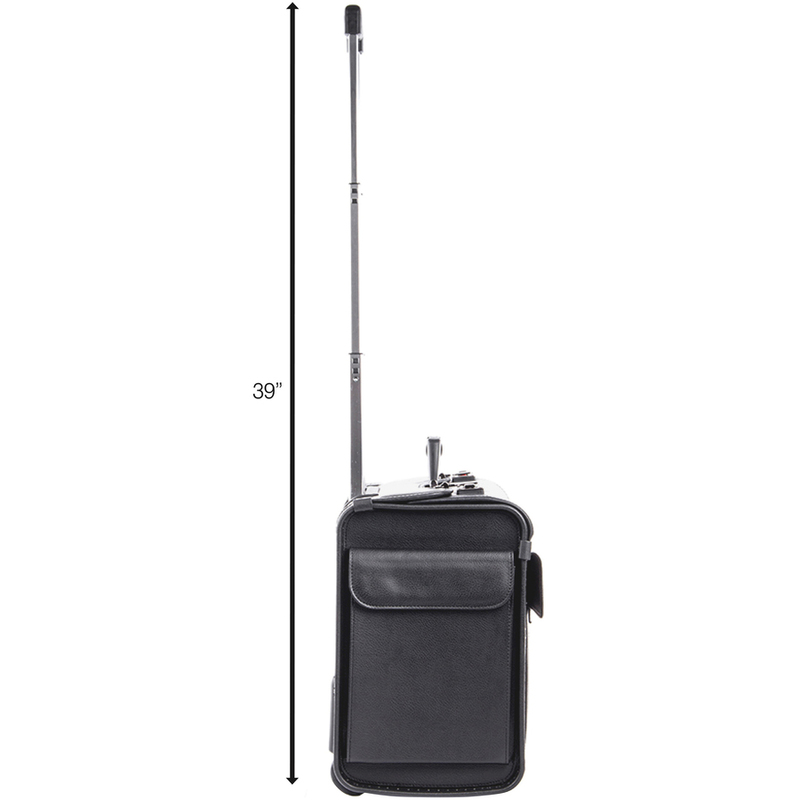 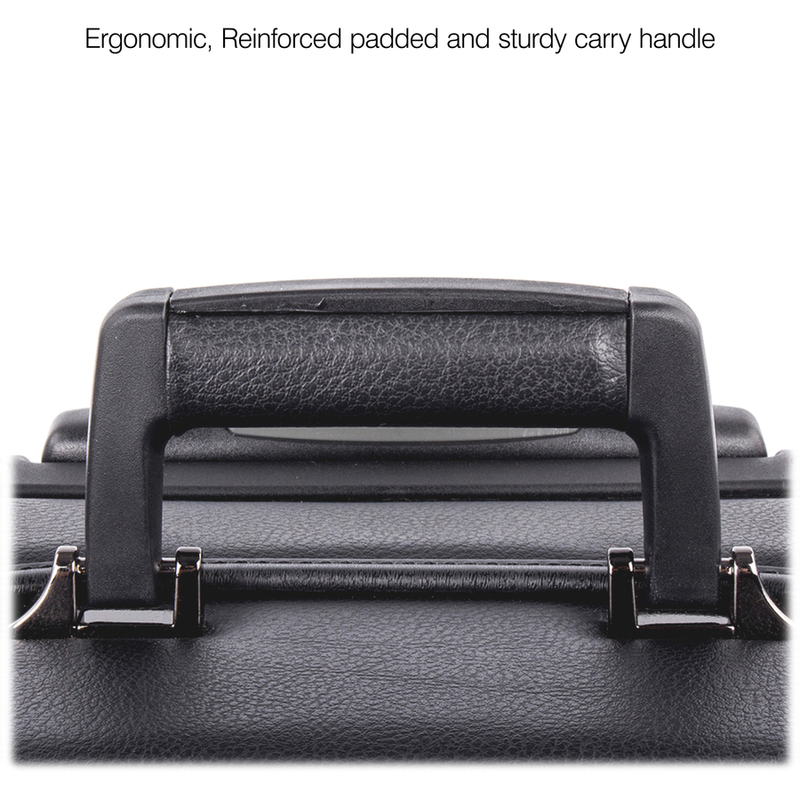 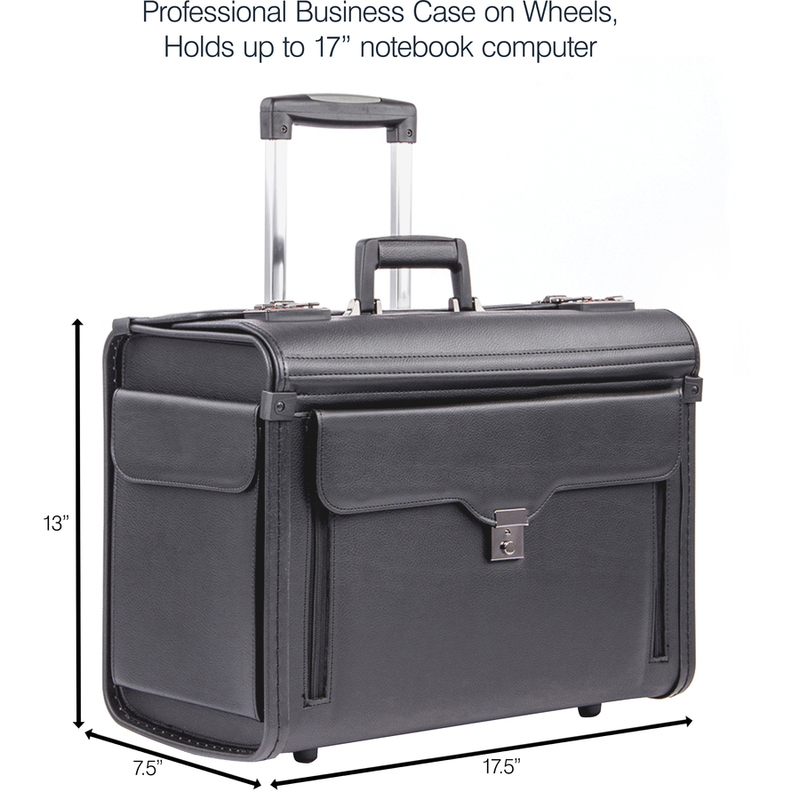 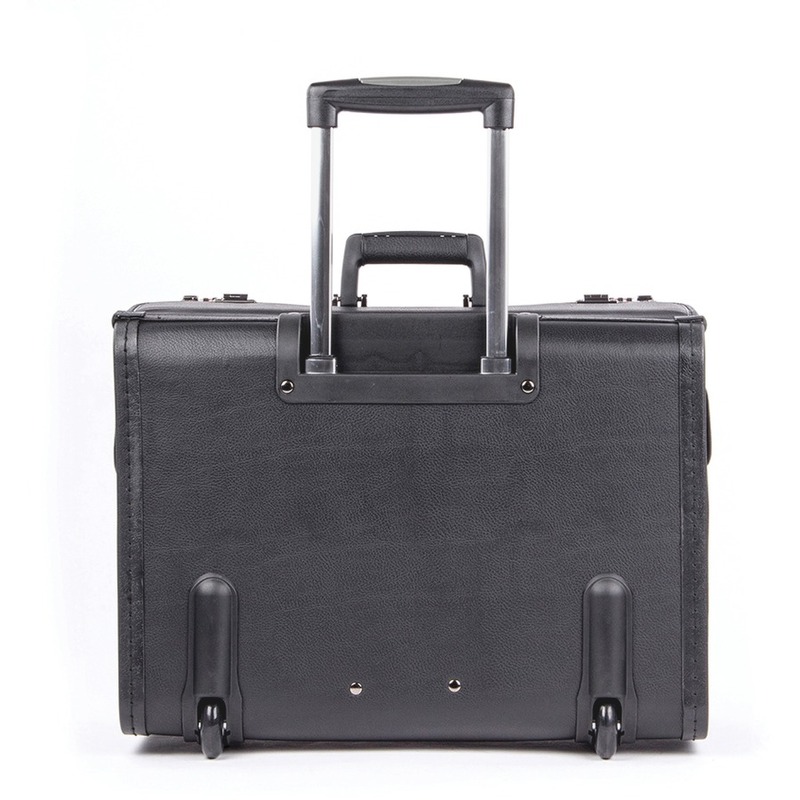 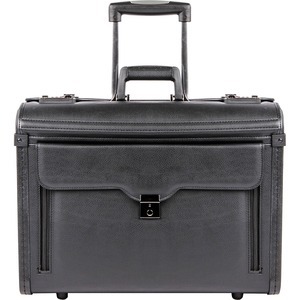 Expandable computer pocket offers extra room for thick laptops up to 17"
Faux-leather business case with gunmetal-finish hardware features smooth-rolling wheels and a retractable handle to provide an effortless way to transport your supplies to any meeting. 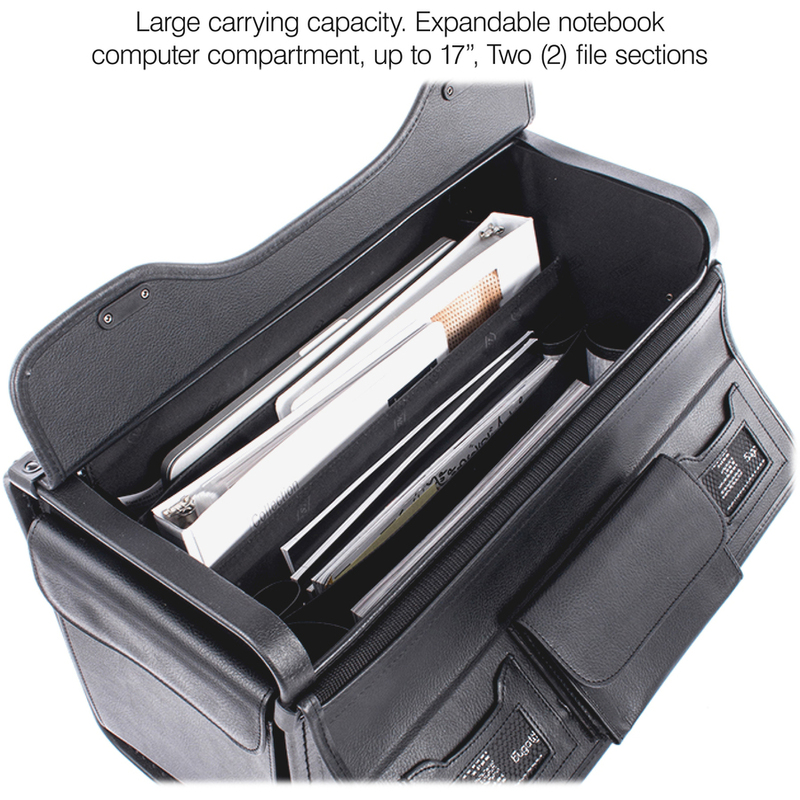 Its expandable computer compartment provides extra room for thick laptops up to 17". 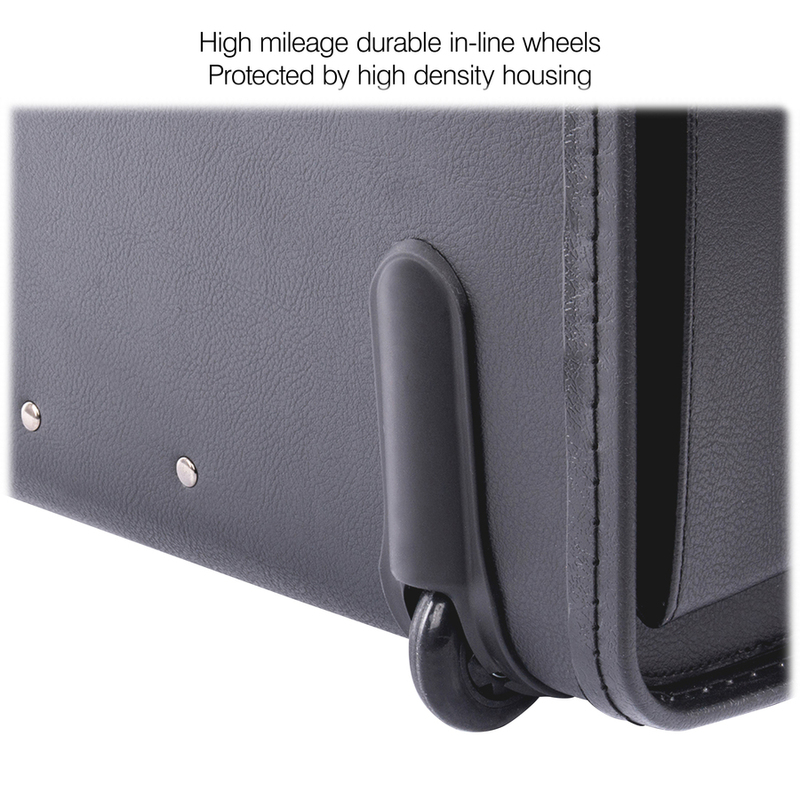 Dual combination locks help prevent unauthorized access to keep your contents safe. 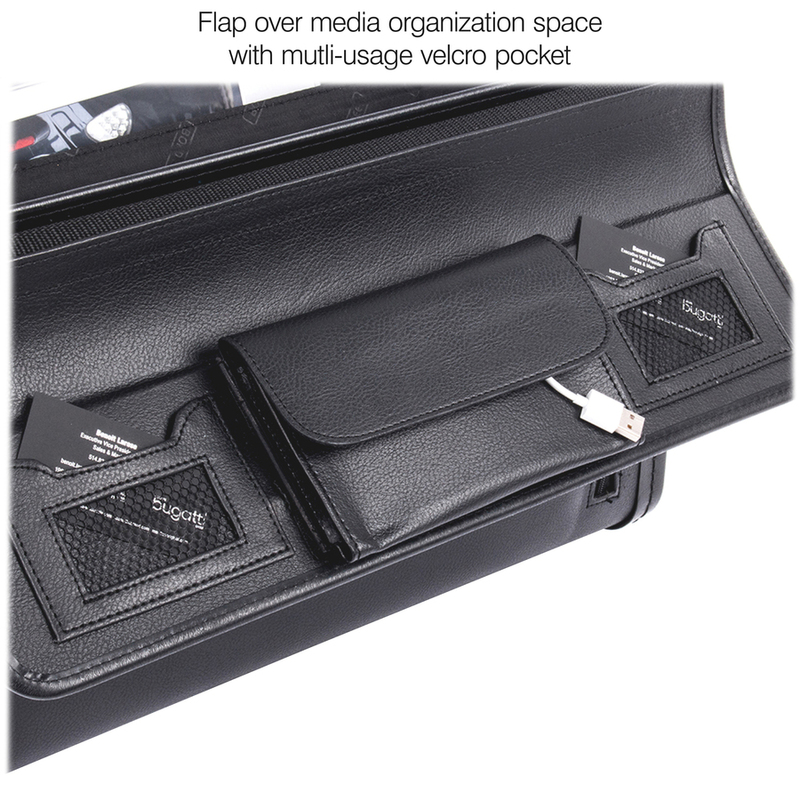 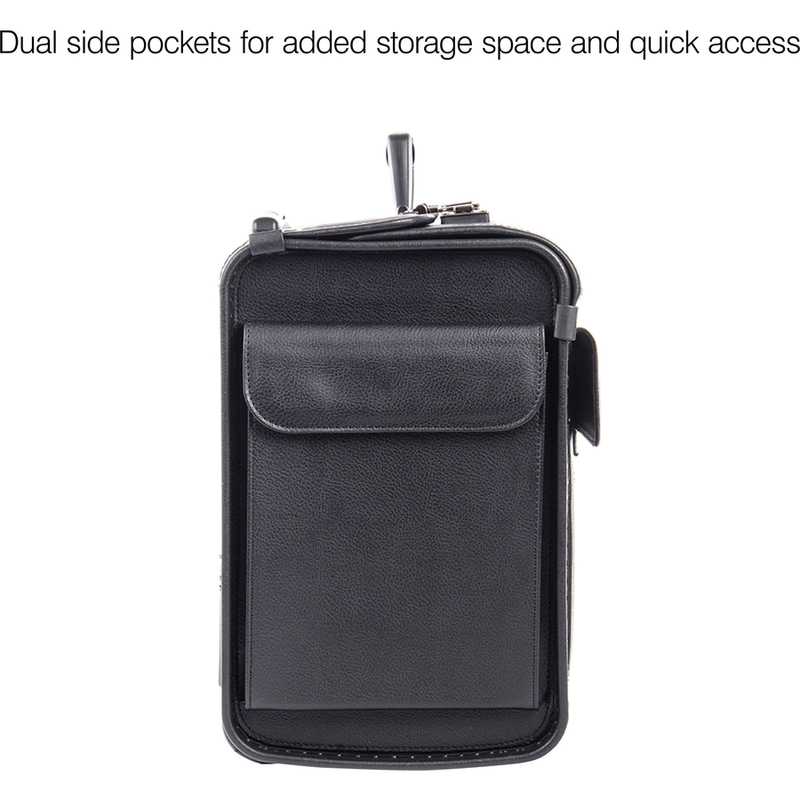 Handy exterior pockets let you quickly store and access your frequently used items.